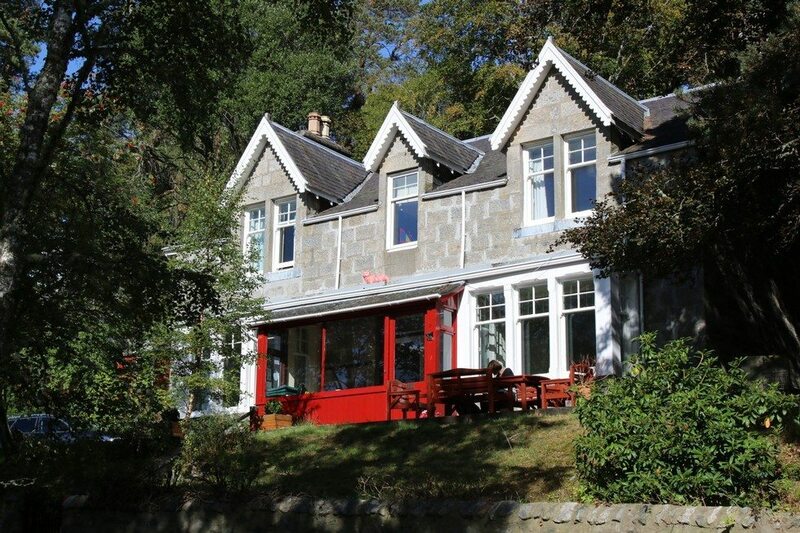 Netherwood House offers 4 star self catering accommodation in the village of Newtonmore in Inverness-shire. 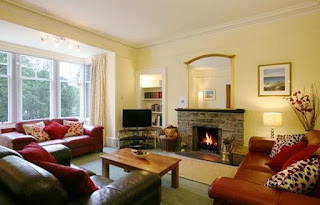 Situated on the outskirts of the village of Newtonmore, Strathspey on a quiet road leading up into beautiful Glen Banchor – one of Speyside’s secret treasures – the house is set in a woodland garden with a barbecue area and swing. Well-equipped, spacious, comfortable and warm, Netherwood provides a delightful combination of up-to-date facilities and the Highland charm of a substantial stone, lodge-style house. 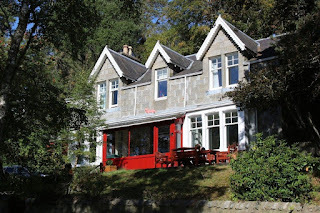 Newtonmore offers the visitor a wide range of activities within the village lying at the southern end of the Spey Valley in the Cairngorms National Park. Newtonmore is at the heart of the Scottish Highlands and is the original Geographical Centre of Scotland making it the ideal place for long or short breaks or to explore the surrounding area much of which has also been used in the filming of Monarch of the Glen.